The traditional K-W-L is not only boring my students, it is boring me! I decided to get my students moving and interacting with each other. What used to be raise your hand to tell me what you know then tell me what questions you have, turned into a Carousel of an event. 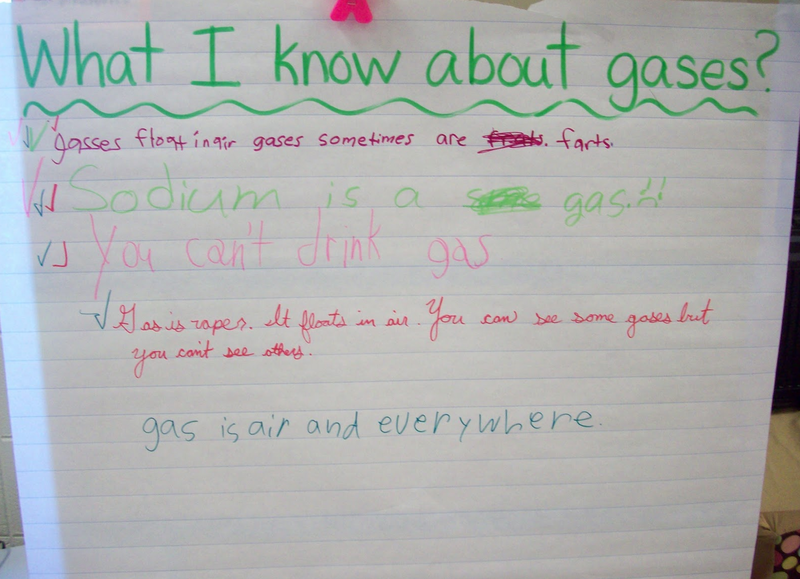 I wanted to know what my students knew about solids, liquids, and gases. 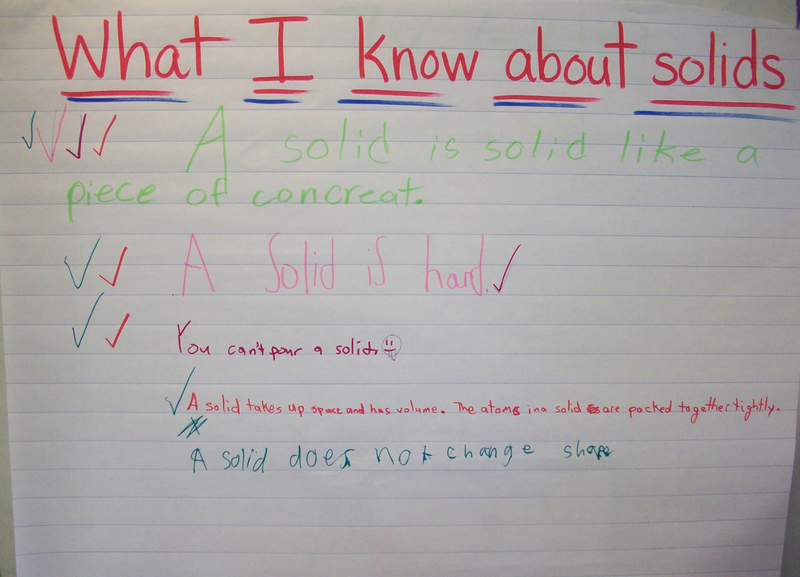 Using three pieces of chart paper, I posed the three questions: What do I know about gases, what do I know about solids and what do I know about liquids? I divided my class into 3 groups and assigned each group a specific color that they were to use when recording responses. I then appointed each group to a poster. Each group was to appoint a recorder in which their job was to write down the things that the group knew about the topic. After a few minutes, students then rotated to another chart. They were to read the responses that the team before them had written. After reading each response, they put a checkmark beside them stating that they had read them. Then, they recorded their own responses to the new question. This continued until all groups had been to all charts. After all groups had carouseled, they returned to their seat. For accountability, each student wrote down one “what I want to know” on a sticky note, discussed with their groups, then as a class we recorded our thinking. The standard K-W-L was transformed into an all-in-one K-W-L for the kinesthetic, auditory, and visual learner!